Hardwall Cleanrooms are the most common type of cleanroom. These facilities are characterised by being a strong construction of a permanent nature, normally including multiple rooms or the proverbial “ballroom”. They are highly durable and incredibly rigid, which makes them perfect as a freestanding, self-contained room to effectively control the level of contamination in the air. Our hardwall cleanrooms are constructed using a smooth continuous material that is conducive to best quality air tightness, resistant to corrosion, bumps and scratches and also importantly easy to clean. The quality of materials used in construction, in addition to the quality of construction techniques employed, will directly affect the longevity and cleanliness of your cleanroom over its lifetime. These facilities can be used for containing many different kinds of materials. You have the ability to build a complete isolation unit which can be used for non-corrosive environments, mild corrosive environments, or corrosive or caustic environments. Other beneficial features within this type of cleanroom include control of humidity and temperature and the implementation of recirculated air, and the option to add on air locks, single pass entry systems, gowning rooms and ducted filters. Furthermore, we offer a flexible range of sizes and configurations available in a variety of anti-static hardwall surface materials such as tempered glass, aluminium, PVC and stainless steel. This way, you can build a hardwall cleanroom to suit your particular needs and the specific scale of your project. 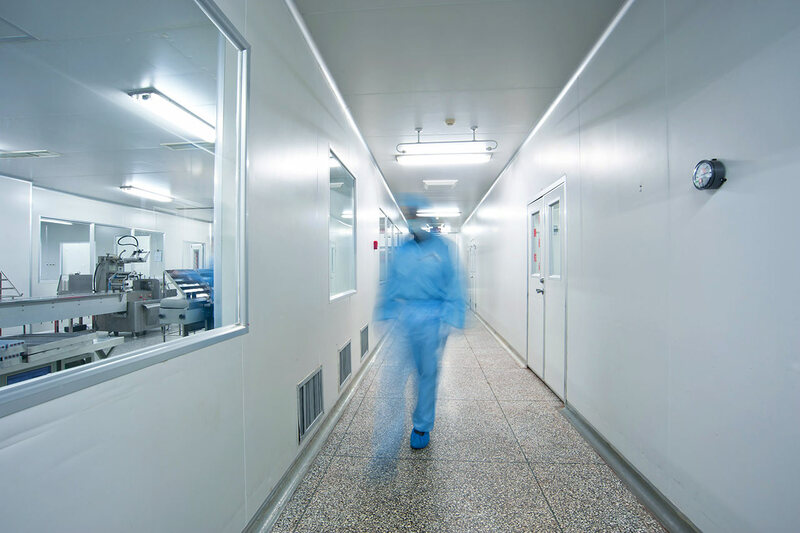 In addition to our widely popular hardwall facilities, we also offer softwall, modular and mobile cleanrooms, as well as containment facilities. Take a look at our other products to find the best match for your environmental requirements, or get in touch with our team of experts for more information.